Sony has already been in the news this week with rumors that the Sony Xperia i1, a.k.a. Honami, might actually be called the Sony Xperia Z1. 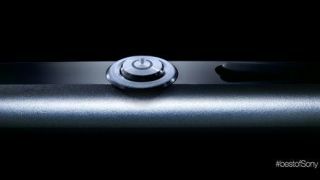 Now today, just a few weeks before a possible Sept. 4 reveal at IFA in Berlin, Sony has released its own teaser image via Facebook of a power button on the edge of a device captioned, "It's the smartphone everyone's been talking about ... not long now #bestofSony." There's no mention of what the device is but we're going to take a wild/not so farfetched guess and say it's the next Xperia. The sharp of eye will notice that Sony continued to play coy and commented on its own photo with a link asking Facebook fans if they "Want to know more?" The link just takes you to a Facebook app page with the same image and caption, but you can also sign up for updates and "be amongst the first to get the latest Xperia smartphone." For a condensed recap of all the Sony Xperia i1/Honami/Z1 rumors, check out the video below. We'll keep you updated on when the next tease and rumor pops up. Sony's trying to one-up its best flagship, the Sony Xperia Z, but Apple wants to downgrade with the iPhone 5C.